Adobe (Nasdaq:ADBE) today announced a major update to its Creative Cloud Photography plan with the release of an all-new Adobe Photoshop Lightroom CC that delivers lightning-fast performance and new tools to edit, enhance, organize and showcase beautiful photos. With Lightroom CC and the legendary magic of Photoshop CC, Adobe Creative Cloud Photography empowers photographers to transform photos into amazing shots. Creative Cloud Photography also includes unique sophisticated mobile capabilities: automatically syncing photos with Lightroom CC on the desktop, Lightroom on mobile devices lets users access and edit their entire catalog of photos on iPad, iPhone as well as Android smartphones and tablets. At just $USD9.99 per month, Adobe’s photography plan champions photographers of every level -- bringing the tools relied on by photo pros worldwide within reach of anyone who loves photography. 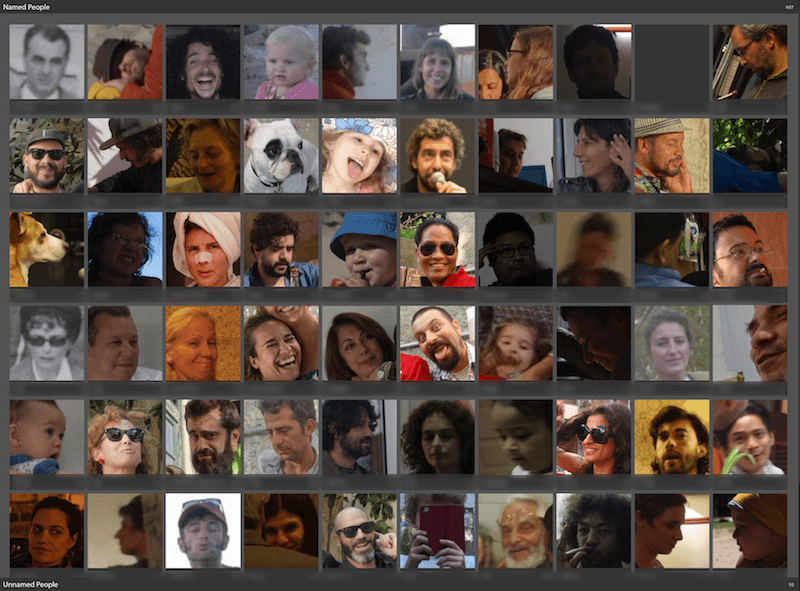 Facial Recognition - Quickly find and categorize images of family and friends. Pricing and Availability Adobe Creative Cloud Photography plan (USD$9.99 per month) includes Lightroom CC across desktop, web and mobile, Photoshop CC and Photoshop Mix (for iPhone and iPad). All products are also available as part of Creative Cloud complete plan. Information on Adobe Creative Cloud pricing and plans can be found at: https://creative.adobe.com/plans. For more detailed information about Lightroom CC product features, upgrade policies, pricing and language versions, please visit: www.adobe.com/go/lightroom. It's a pity that LR still hasn't implemented LUTs, floating panels to reposition as you like (I much prefer left side controls), widen MFT lenses' profiles or allowed cropping in other than fit to screen mode, there are some bugs also, specially purging video memory and the irritating impossibility of comparing before and after single versions in dimmed screen as image gets also dark. • In addition to adding images to a collection on Import, you can automatically add images to a collection when shooting tethered. • You can show badges in the filmstrip, but have them ignore any accidental clicks (Preferences > Interface > Ignore clicks on badges). • Flag and Rating categories have been added to the metadata filters. • “Camera + Lens” and “Camera + Lens Setting” have been added to the Loupe info options (via the View options). • Moving photos to another folder is faster than in previous versions. • When using the Radial and Graduated Filters to make local adjustments, Shift + T will toggle between editing the filter and the brush. • You can now reposition edits created using the Adjustment Brush by dragging the pin. Option -drag (Mac) | Alt -drag (Win) reverts to the older behavior (“scrubbing” the applied adjustments when click-dragging left or right on the pin). • Shift-drag to constrain the Adjustment Brush movements vertically or horizontally. • Click once, then Shift -click in another area with the Adjustment Brush to draw a straight line between the points. • Hover the cursor on top of the pin to display a Mask overlay for the Gradient and Radial filters. • When cropping, there is a new Auto button (in the Angle area), that will try to do an auto level similar to the Upright command. • Control + Tab allows you to cycle through the Upright modes. • You can now choose CMYK profiles when using the Soft Proofing controls in the Develop Module. • Percentage options have been added to the image resizing section of the Export Dialog. • Photo text metadata settings will now be saved with custom pages. • There is a new workspace for touch enabled devices which is very similar to Lightroom on mobile devices. When a keyboard is removed, Lightroom automatically enters this mode. Many of the same gestures that are found when using Lightroom on mobile devices are available for touch enabled devices including; triple touch to show info, swipe to assign flags and stars, swipe to move from one image to the next etc. These gestures are also available when the keyboard is attached so that a combination of mouse/gestures can be used at the same time. 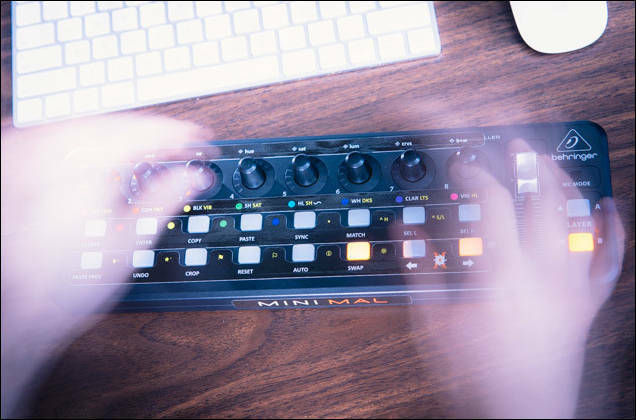 • In addition, touch enabled devices have access to all of the panels in the Develop module (they’re not limited to the basic panel like Lightroom on mobile), including local adjustments (spot healing, graduated filter etc. ), and custom presets. Lightroom1.4 for iOS devices now includes the Auto Straighten option and an improved cropping experience. Lightroom 1.1 on Android now supports device-created DNG files, support for Android tablets and support for micro-SD cards. Lightroom 6/CC offers only small improvements to the Develop Module, like the ability to move and copy Adjustment Brush pins, and to modify Graduated Filter and Radial Filter selections with a brush. Nice, but hardly earth-shattering. Any recommendation for Lightroom preset packs? For multi-purpose use, different looks. Like you are not sure what you are after, so you could just try different presets until something pleases your eye, and start working from there.